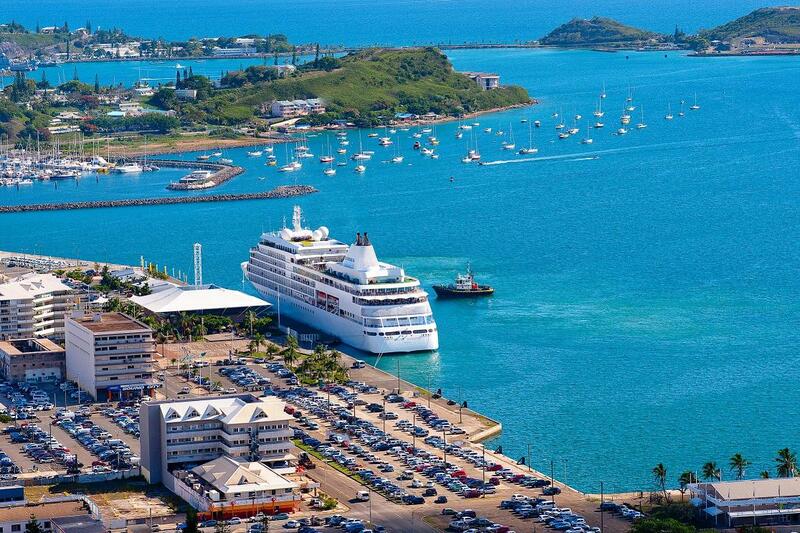 This Tour is only available when cruise ships are in port. 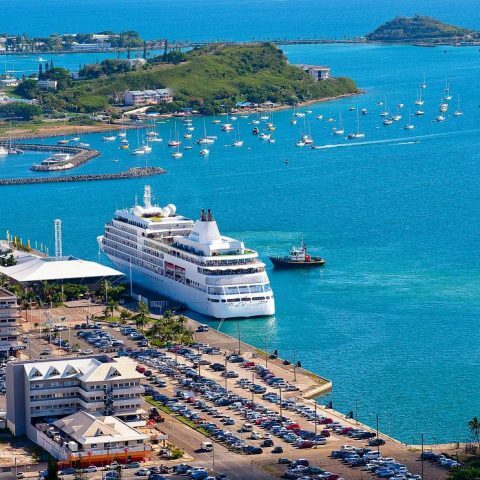 Estimated time of departure from the Cruise Ship Terminal at 09.30am, 10.15am and 11.00am (see billboard) for morning ships or 3.30 and 4.00 pm for afternoon ships. 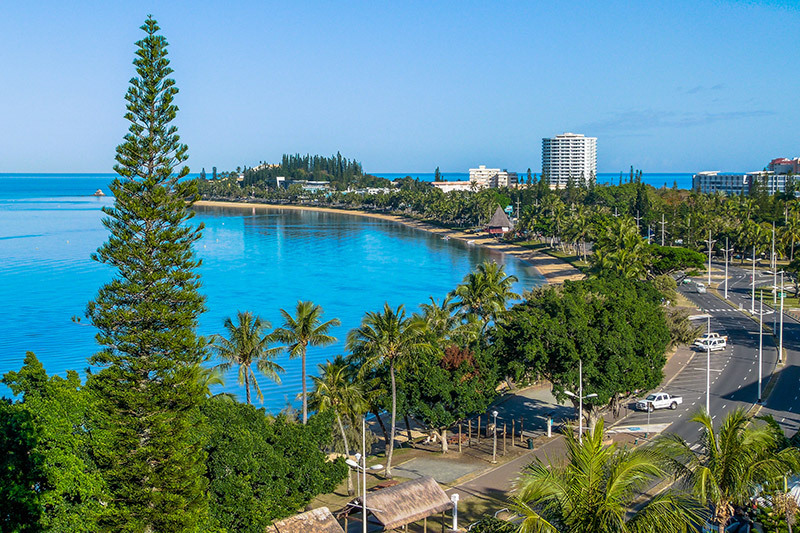 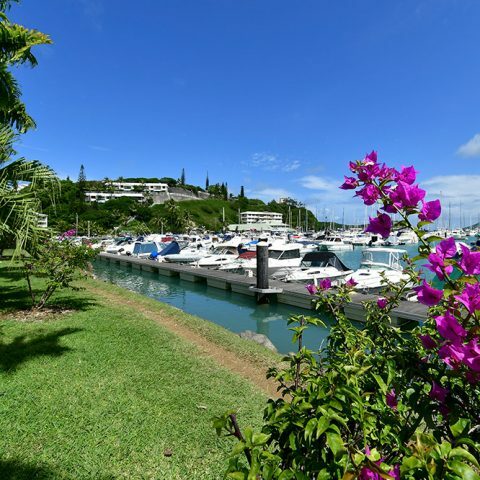 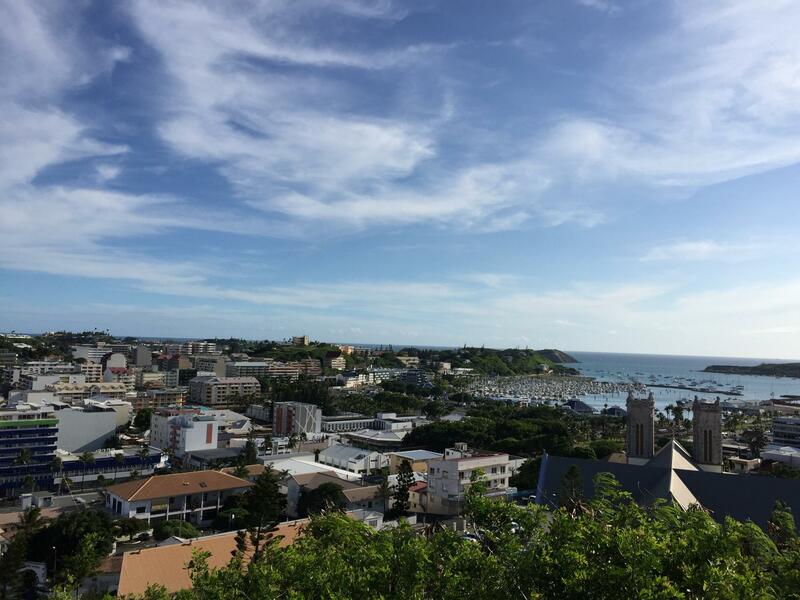 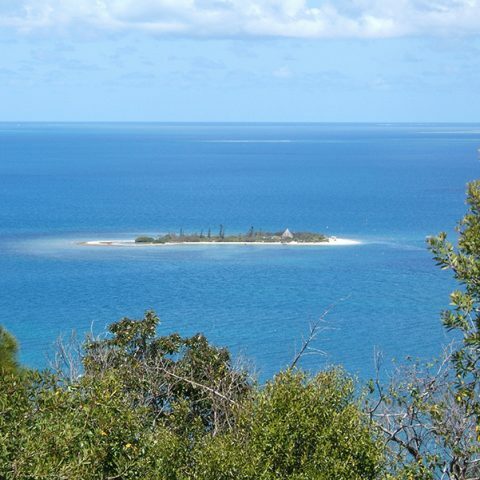 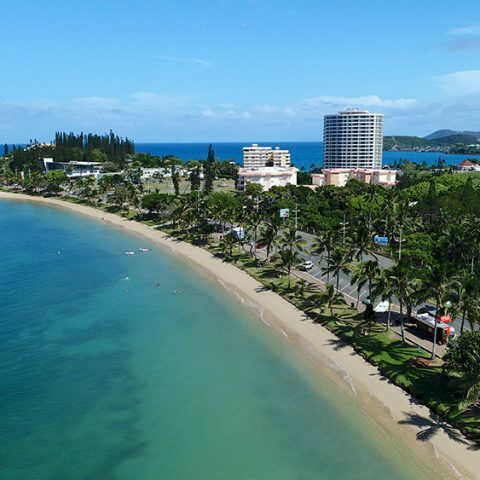 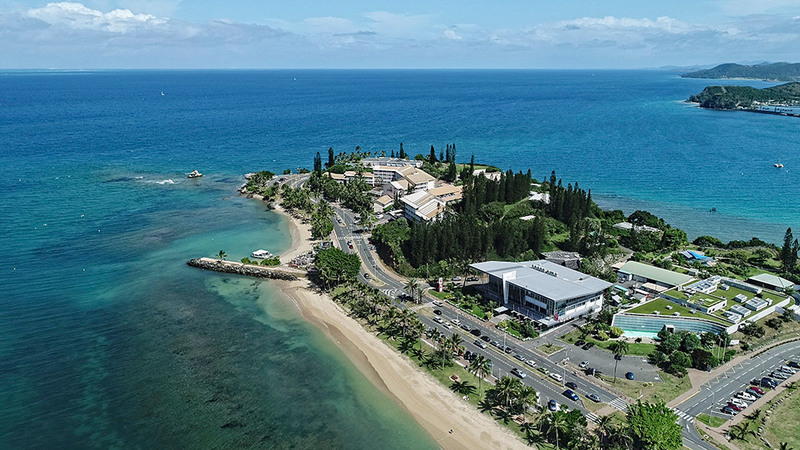 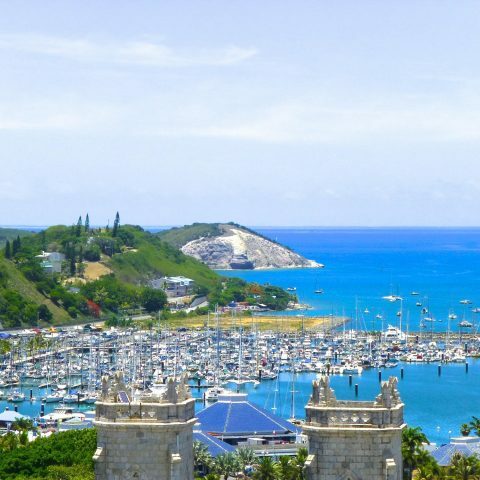 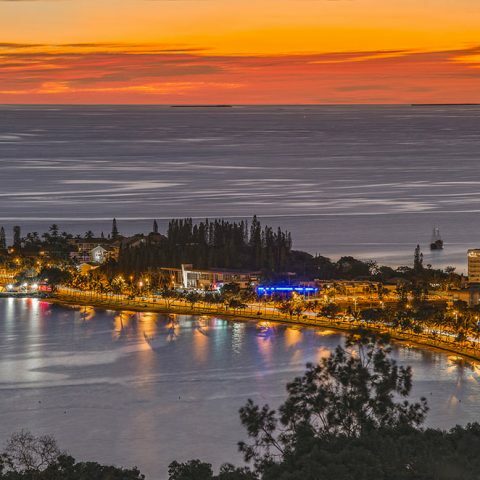 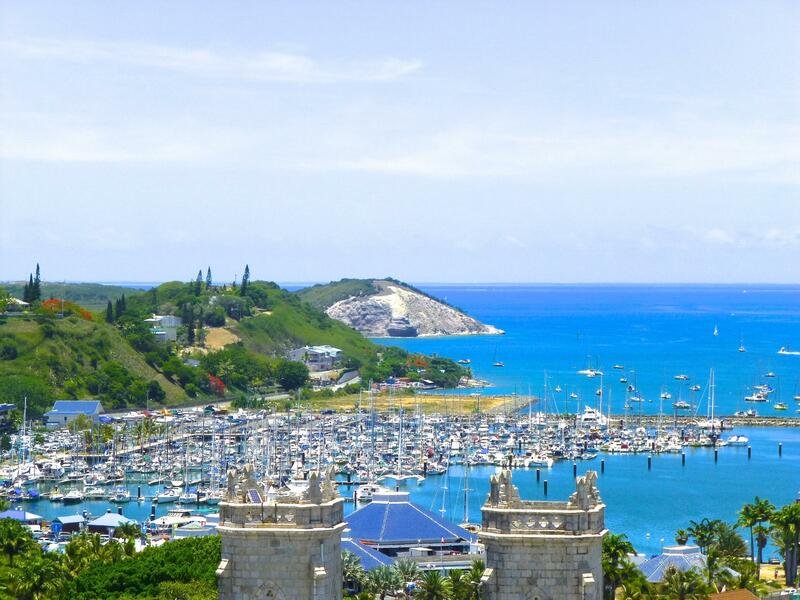 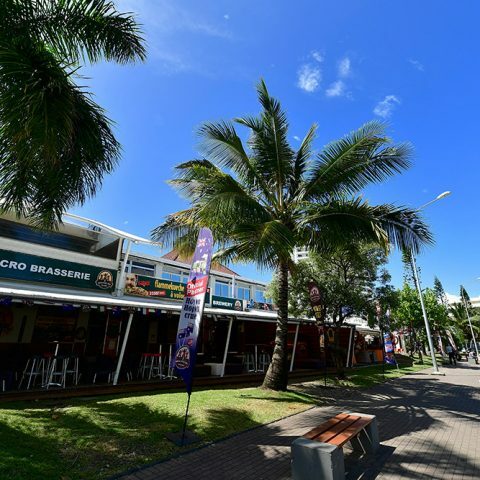 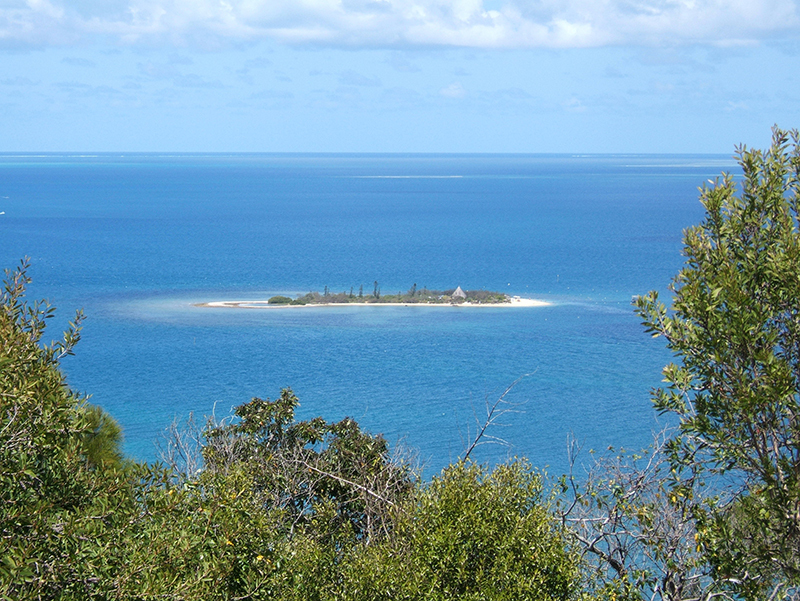 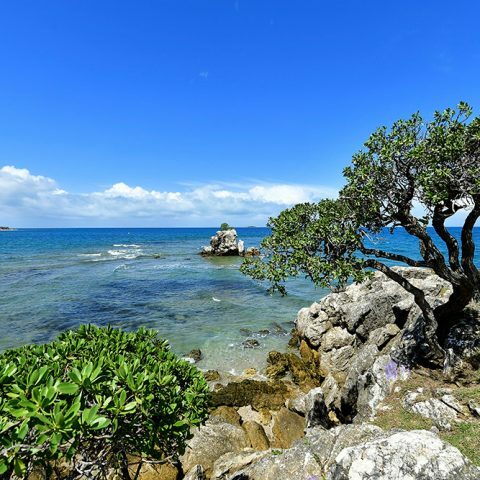 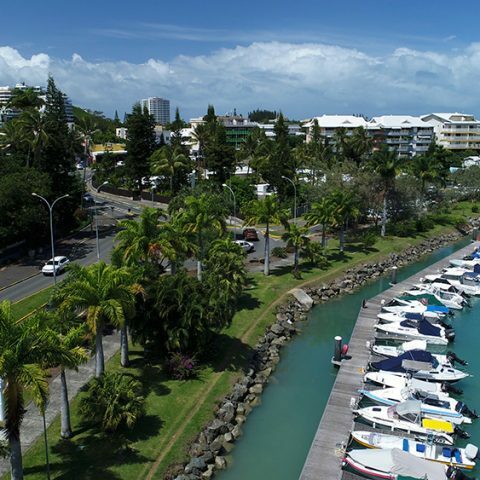 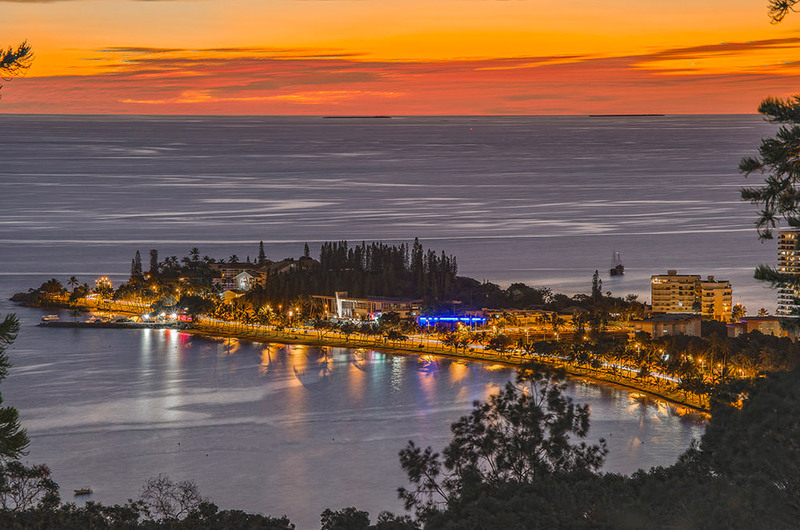 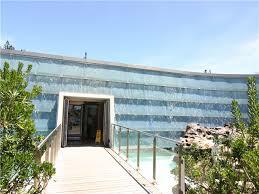 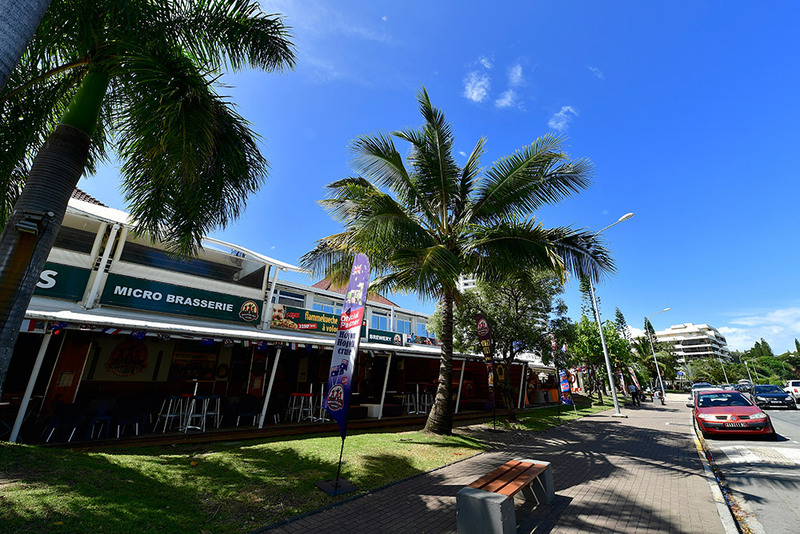 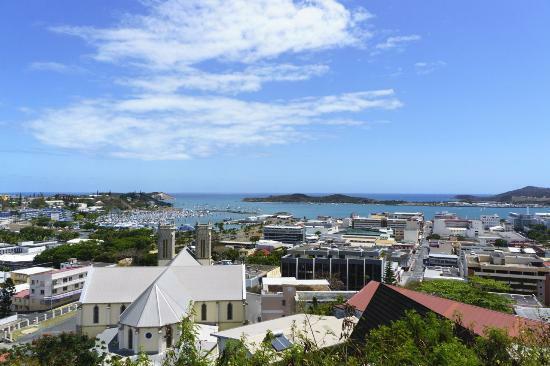 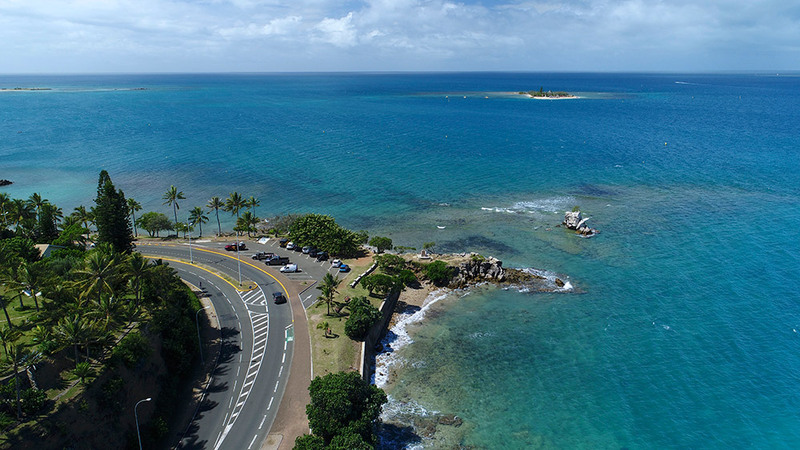 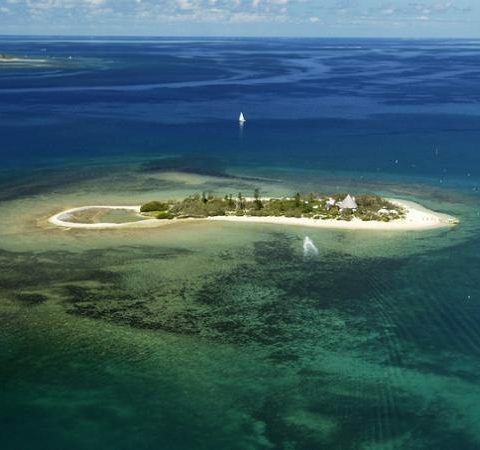 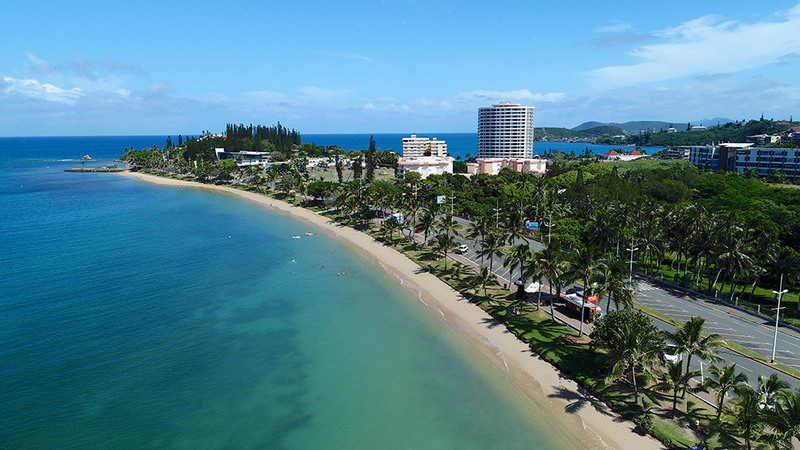 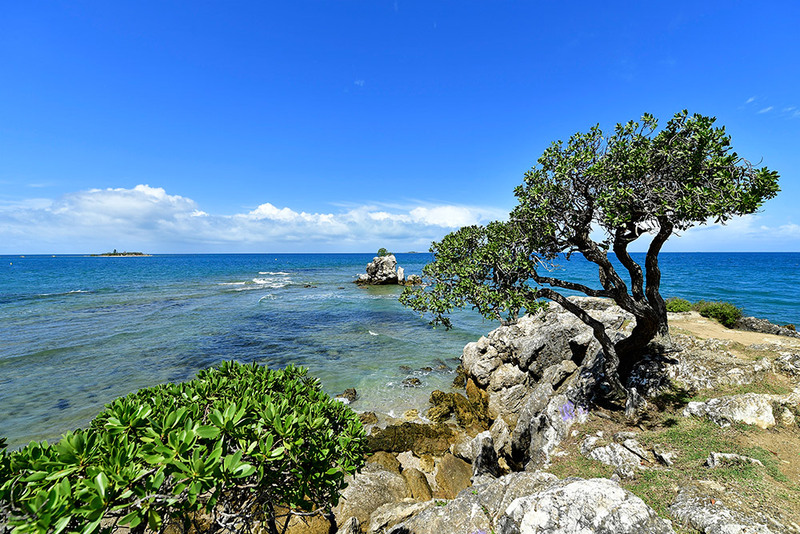 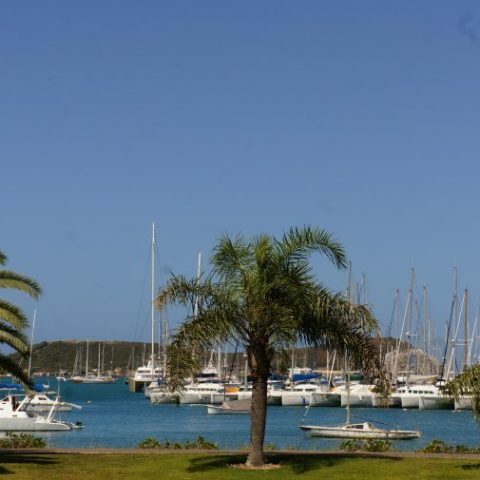 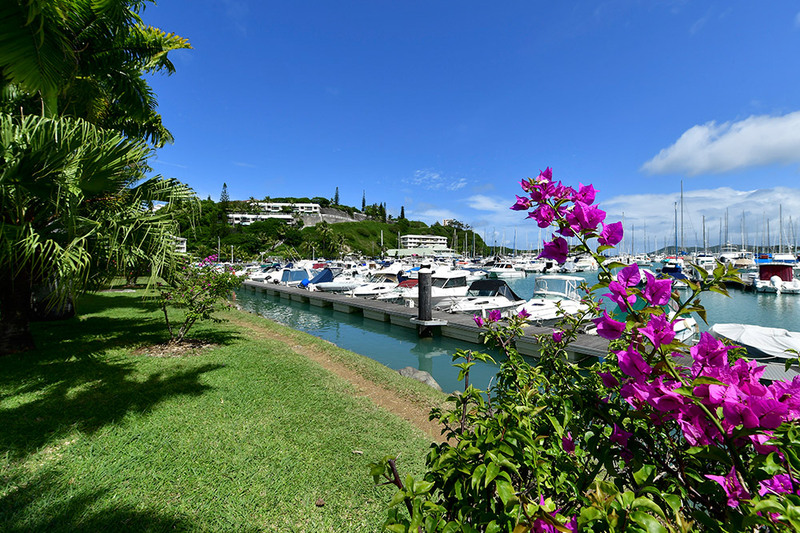 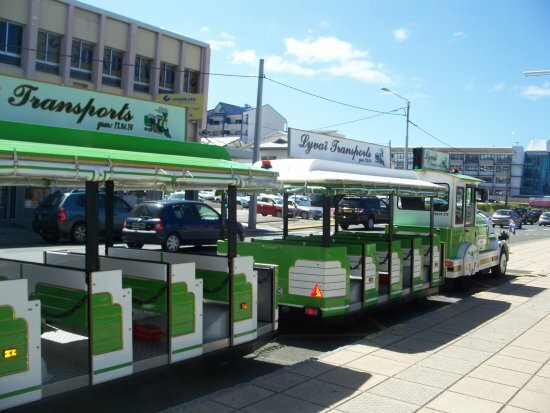 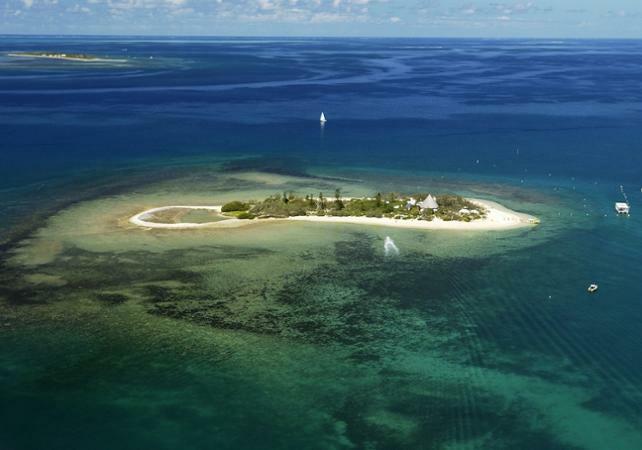 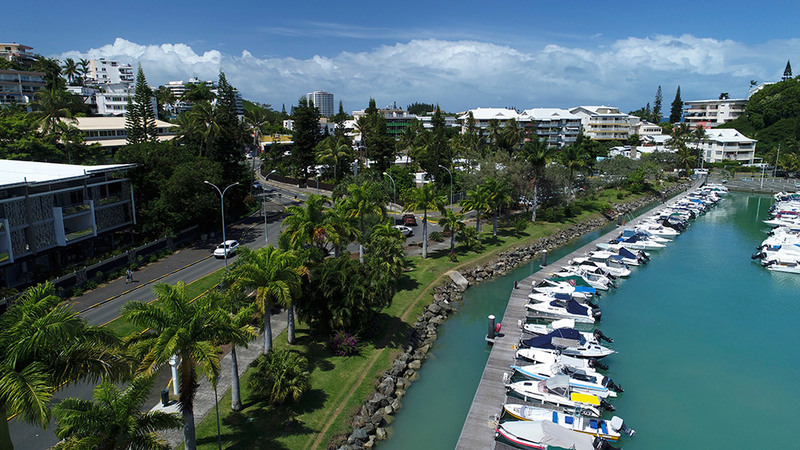 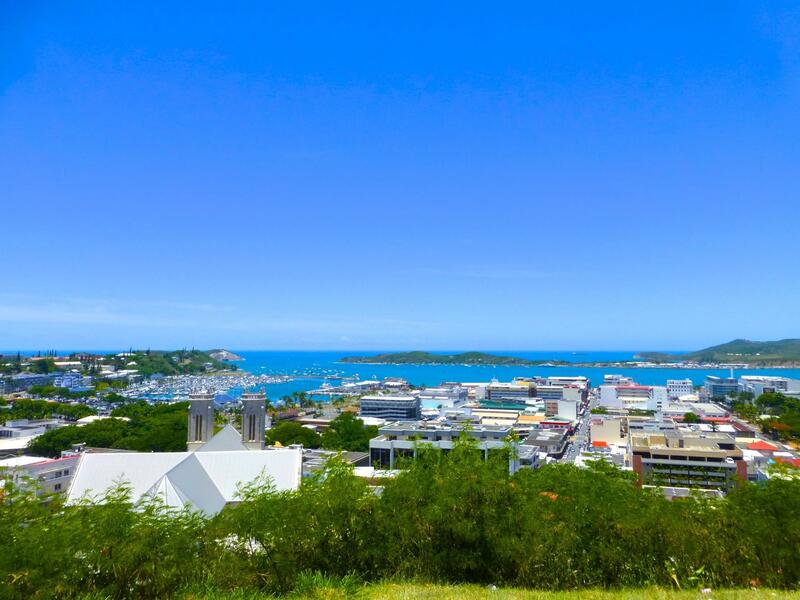 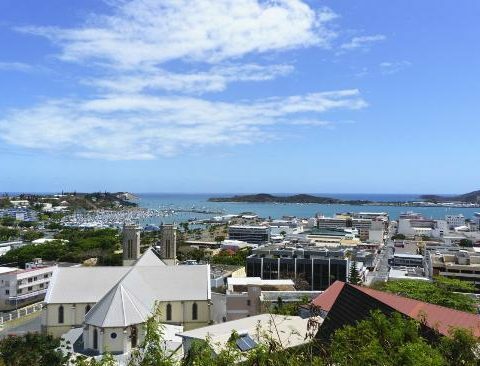 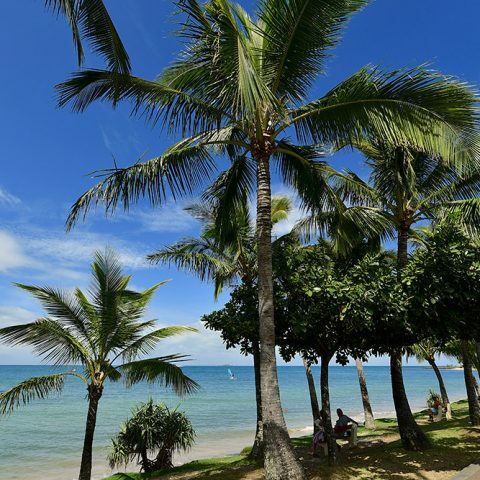 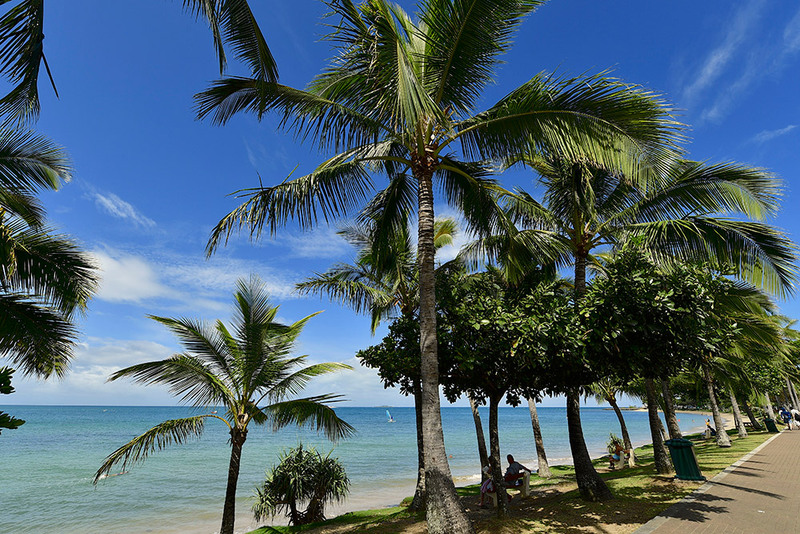 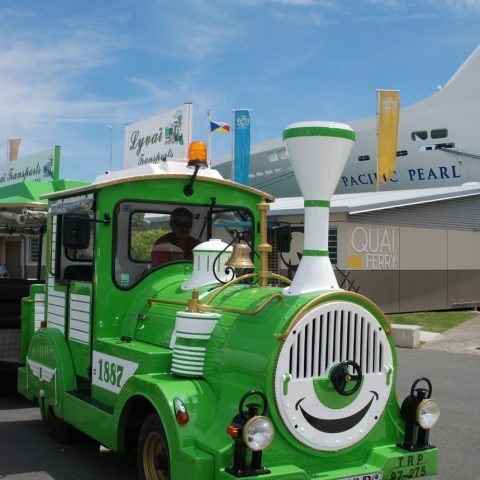 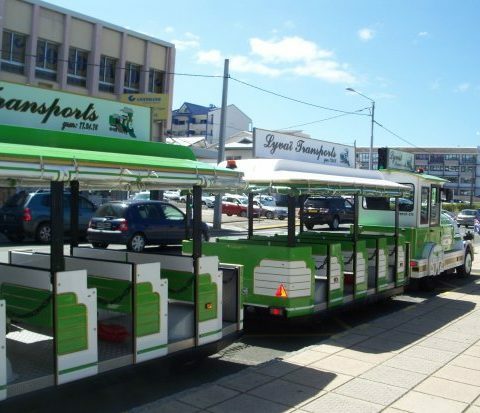 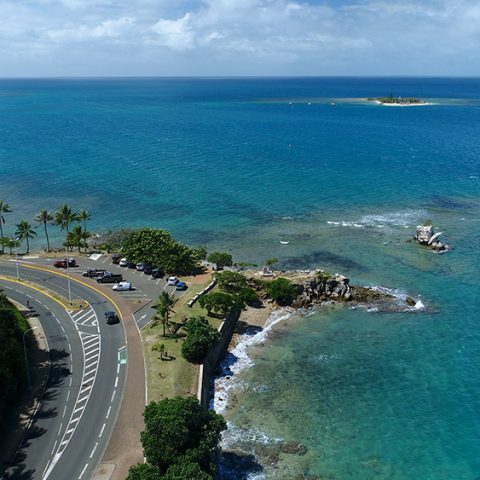 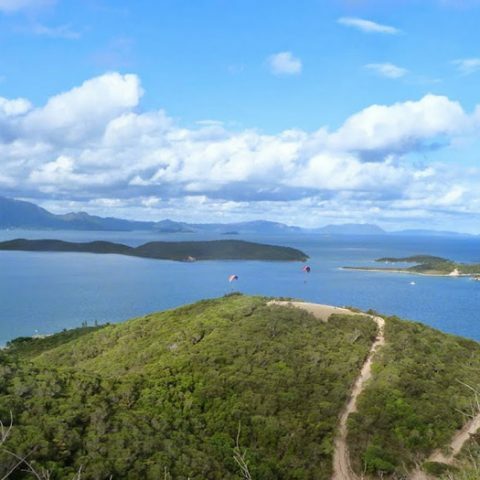 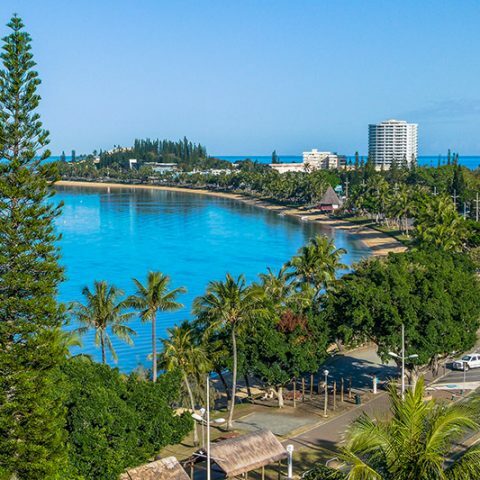 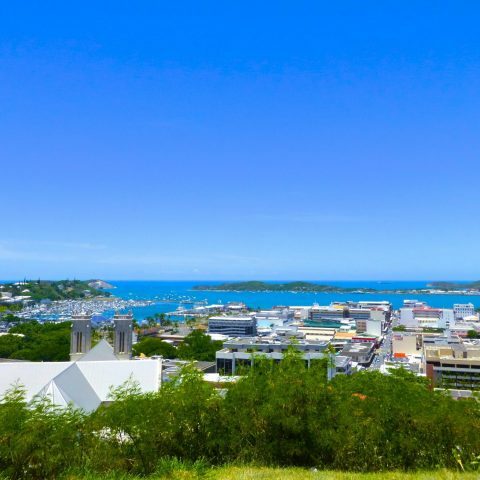 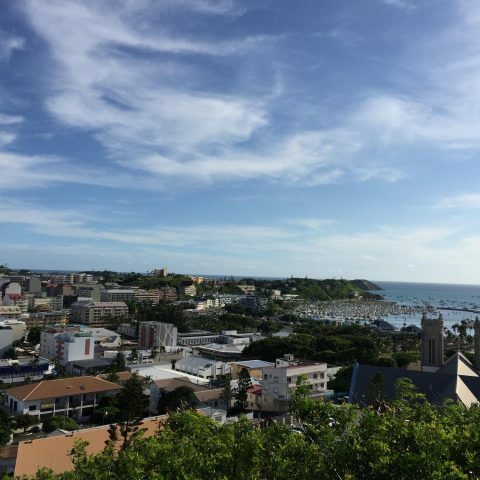 Our « Green Train » is a sightseeing tour around the town of Noumea with an English speaking guide. 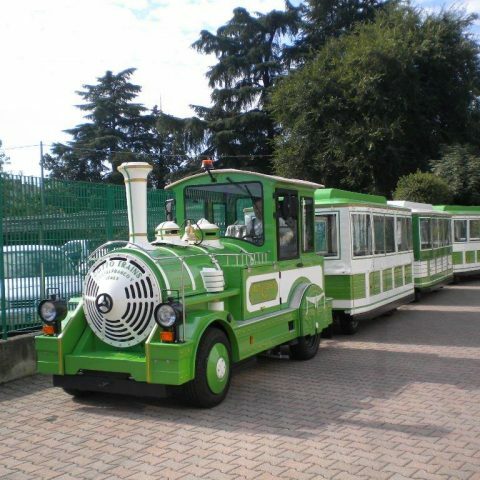 The ride includes 2 stops for about 10 mins. 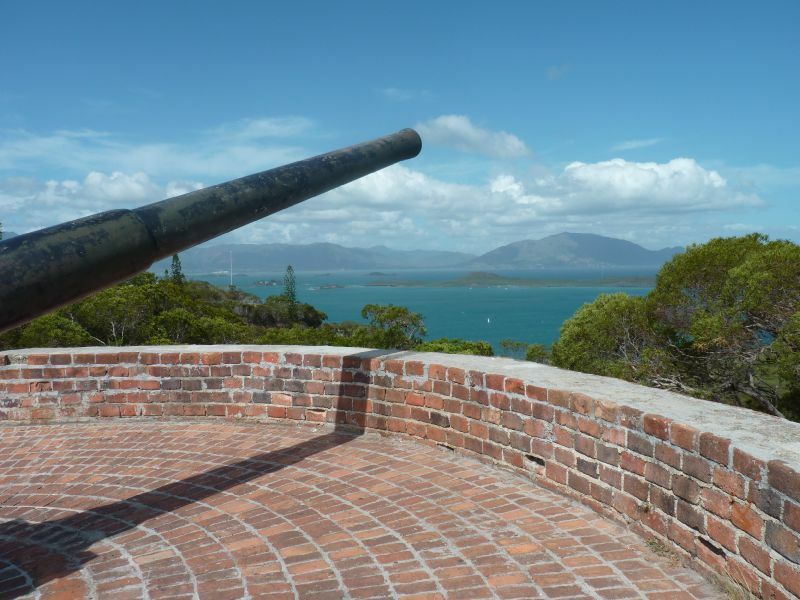 at each of the two lookouts. 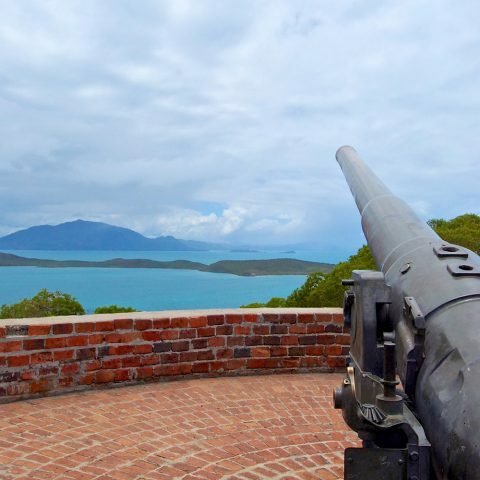 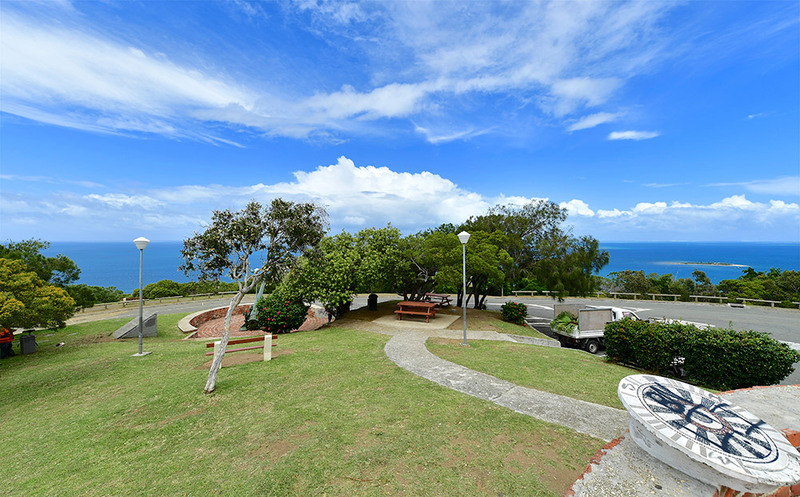 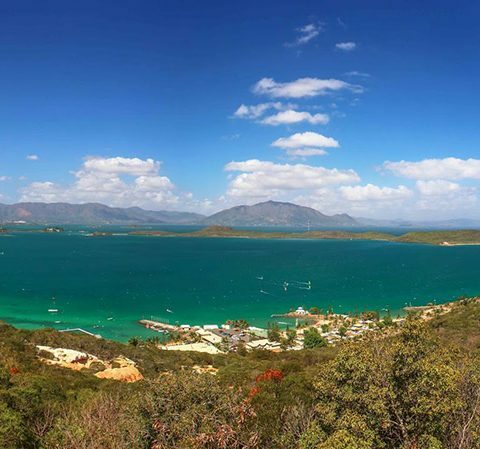 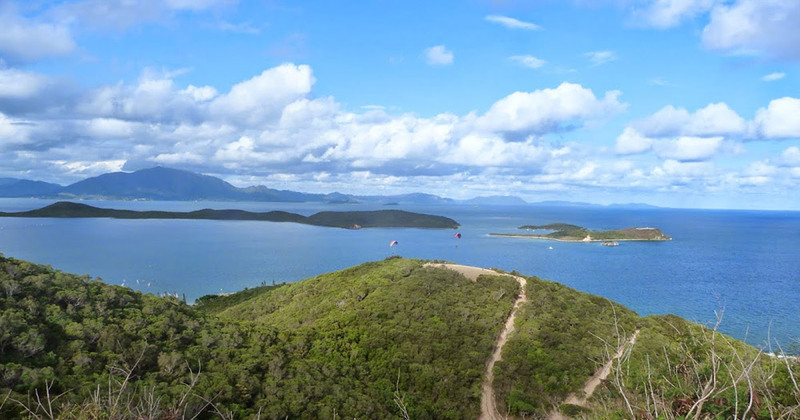 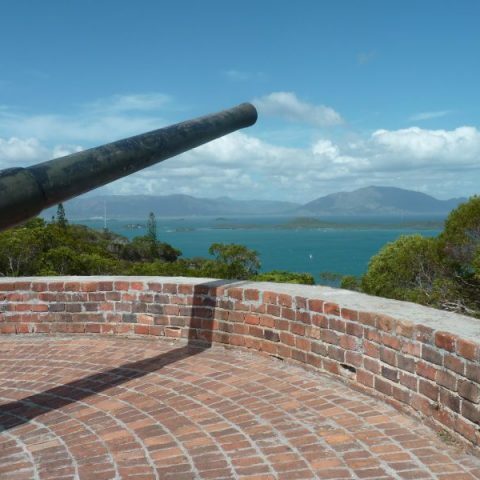 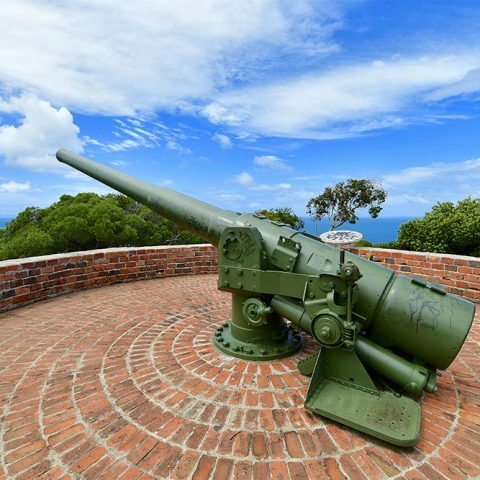 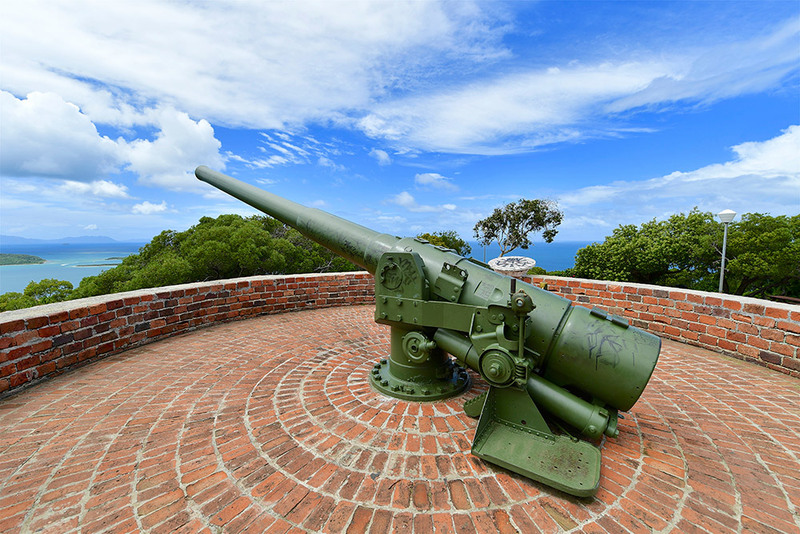 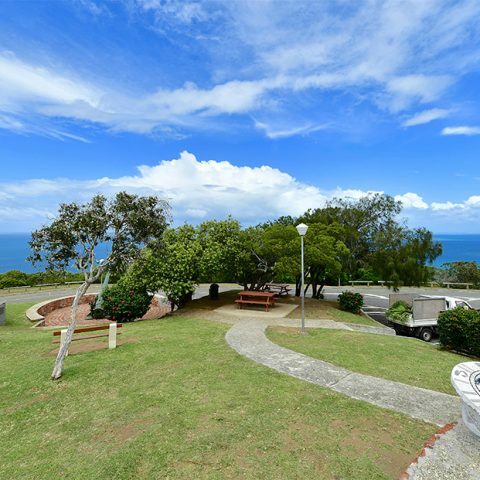 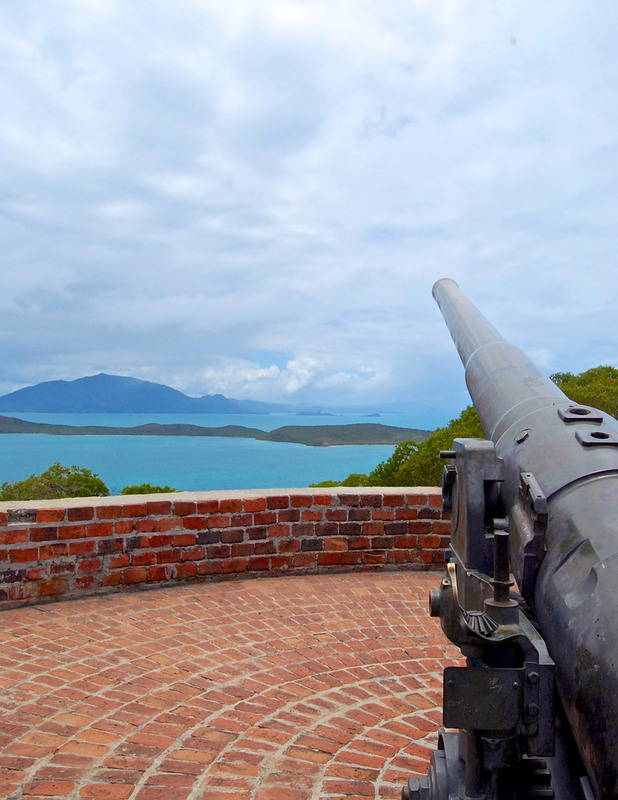 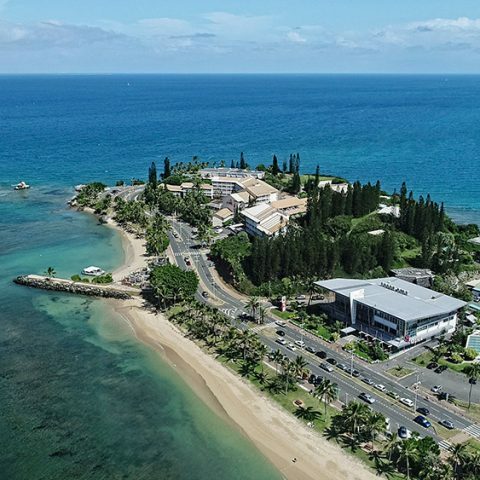 The second one on the top of Ouen Toro hill (Canon lookout), where you get a breathtaking view of the world largest lagoon and it’s surroundings. 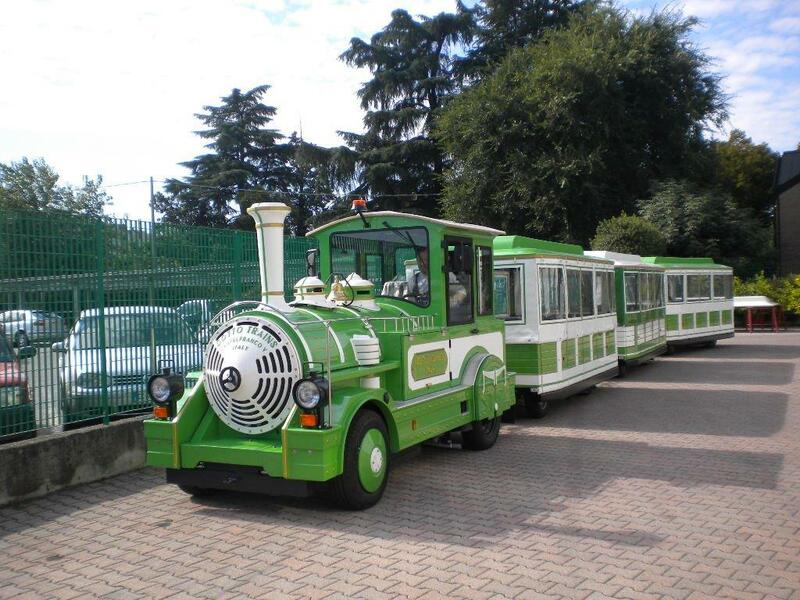 You also dicover during your trip Faubourg Blanchot with it’s colonial houses, a suburb dating back from 1874, then continue to promenade Pierre Vernier, the towns famous work-out pathway frequented by sportsmen of all ages that enjoy walking and running. 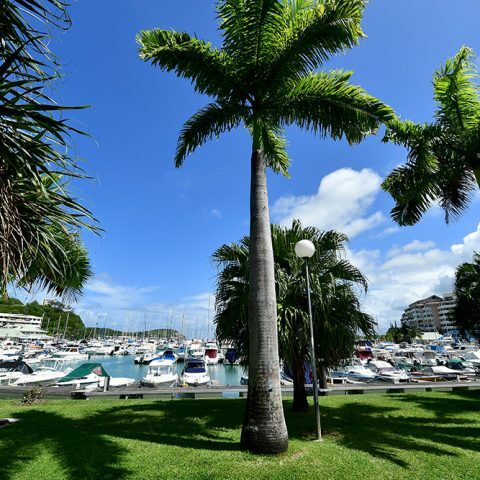 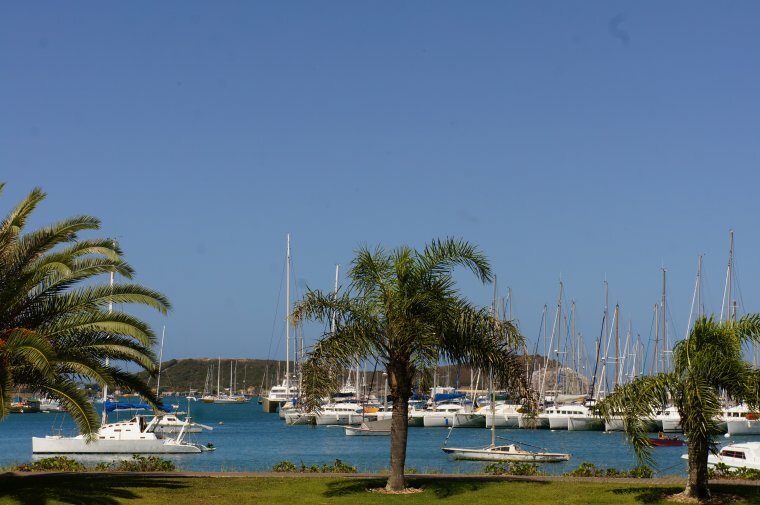 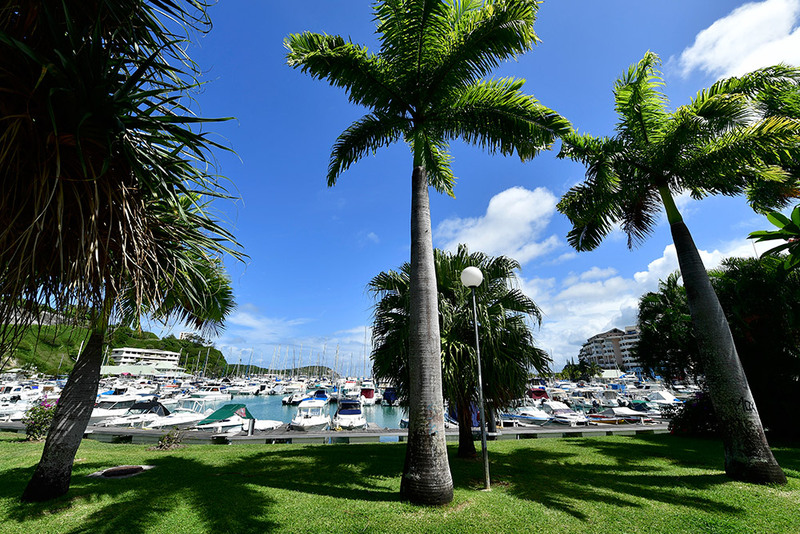 This beautiful promenade is lined by coconut palm trees and is stretching over several kilometers along the lagoon. 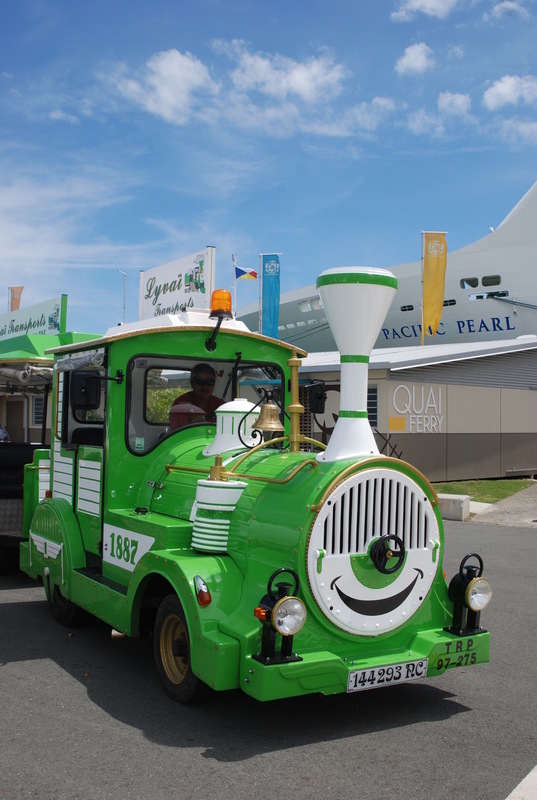 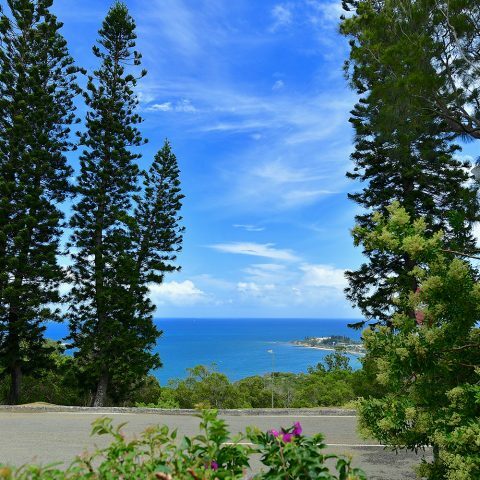 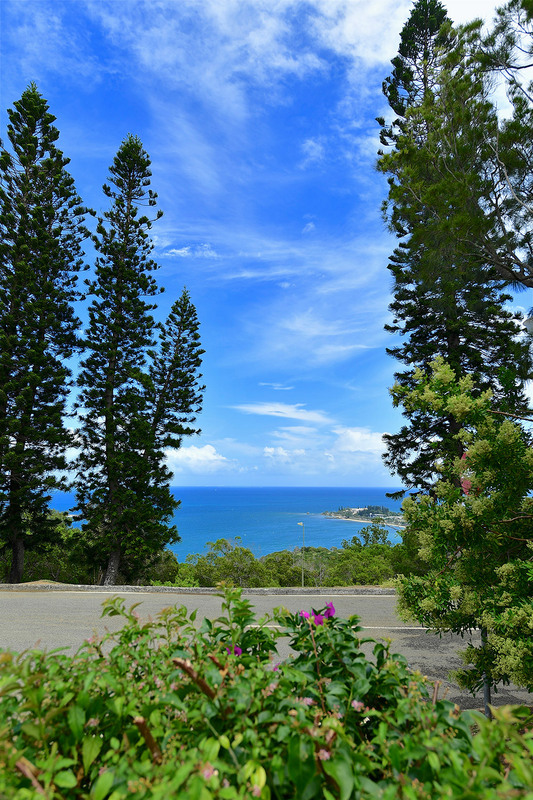 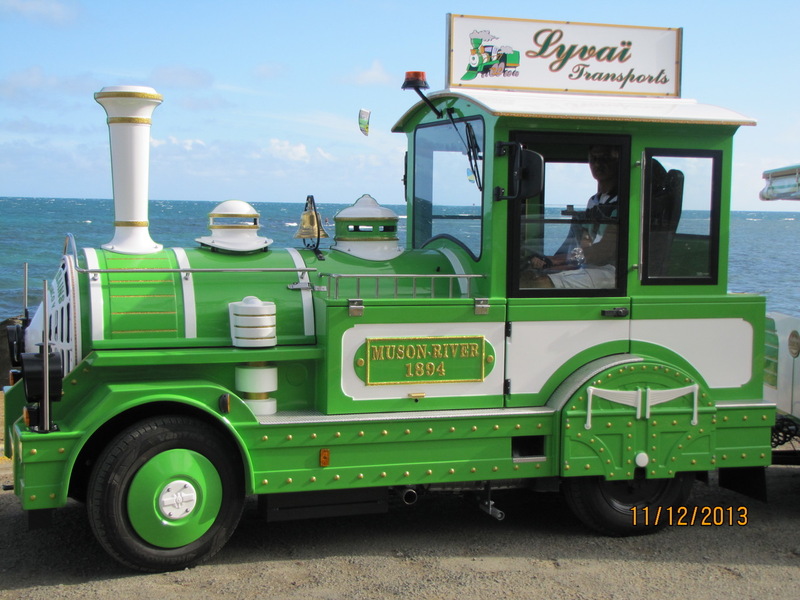 Then, “Le Petit Train” drives along the city’s famous and most vibrant beaches of Anse-Vata and Citron bay on the return to the Coconut Square in the city. 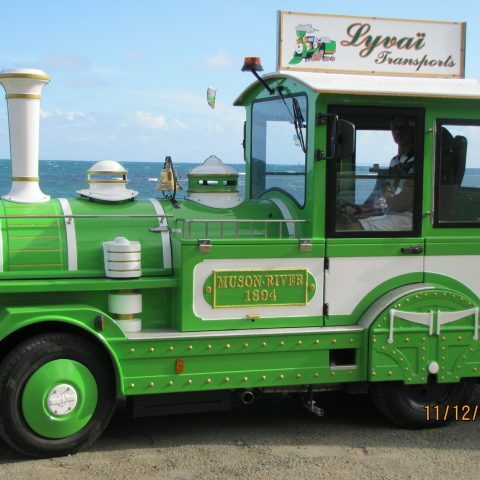 A few ground rules will be given to you before you can board the train.